« Obama Wins!! Now, let’s get to work! I spent Halloween this year in Bellingham, Washington for a Board of Directors meeting of the National Association for Ethnic Studies. Although the weekend was very productive and I had a great time with my NAES colleagues, I did miss one of my favorite holidays. Mr. Man and I had the best time a couple of years ago at the Q — Lincoln’s gay bar [yes, Lincoln does have a gay bar; there’s also a Lesbian bar, too!] — except that I kept having to shoo off a VERY tall and husky Mae West who was keen on Mr. Man. It seems that every time we go to the Q, Mr. Man comes home with a phone number . . . so I asked that he NOT go to the Q for Halloween without me. Out of respect for the holiday, he did buy THREE BAGS OF SNICKERS BARS. Now, mind you, over the four years I have lived with Tom, not a single trick or treater has knocked on our door (probably because we turn off the light and the door bell doesn’t work and we leave!]. So, my question was, why THREE BAGS OF SNICKERS BARS? “uh . . . just in case ” was his weak response. So, now there are THREE BAGS OF SNICKERS BARS in the house screaming to be eaten . . . I’ve had two so far (two bars, not two bags). Can you guess who they are? 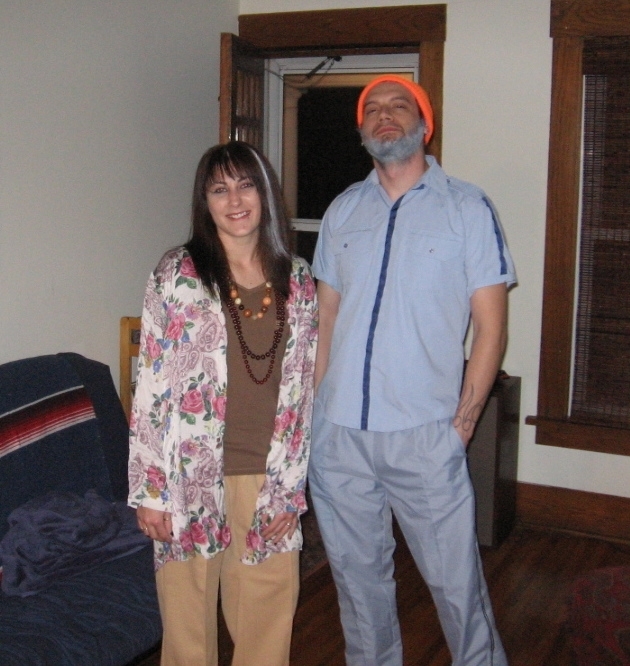 [Hint: The Life Aquatic with Steve Zissou]. I was disappointed to have missed our trick or treaters. I did go out to dinner with the NAES peeps to this fab Thai restaurant. Later that evening back in my hotel room I logged on to Second Life to do some “ethnographic research.” I found SL pretty empty! Seems like in some ways SL is not a substitute for RL! This entry was posted on November 6, 2008 at 4:01 am and is filed under Musings with tags Halloween, NAES, Second Life. You can follow any responses to this entry through the RSS 2.0 feed. You can leave a response, or trackback from your own site.